Tired of reading depressing stories? This man's post about a KZN woman who went beyond the call of duty is bound to put a smile on your dial this Monday. Listen to Marius Botha talking about the Department of Home Affairs worker who went above and beyond to help, or read the details under the podcast. If you’ve ever been to Home Affairs, you’ll know that there are strict opening hours - and even more strict closing times. You’d think that it’s the one day that not only the Home Affairs staff, but anyone, would want to pack up and get home at closing time (or early). But that was not the case for one employee. Mrs Nosipho Mkhupheka works at the Scottburgh Home Affairs. 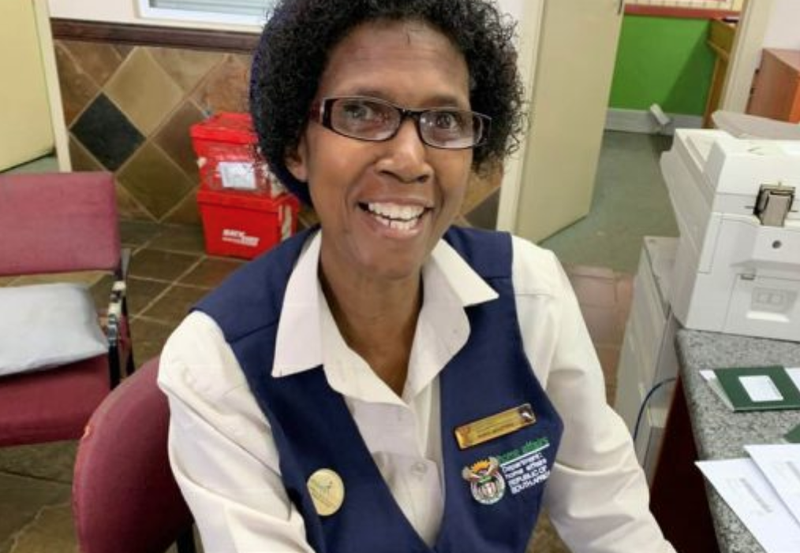 She has been hailed as a hero on social media because while most of the country packed up for the weekend, she stayed at her desk with a smile on her face, and helped over 40 South Africans get their Home Affairs admin done. One of the people present on the day that she helped was Marius Botha. He took to his Facebook page to post a picture of Mkhupheka, together with a message of gratitude for going above and beyond. I want to thank Mts Nosipho Mkhupheka for her unselfish and exceptional service beyond the call of duty. This wonderful lady works at the Dpt of Home Affairs, Scottburgh. Today at 16:00 all her colleagues left their workstations and went home. Mrs Mkhupheka stayed and help the last 40 customers all on her own and with a smile on her face!!! You are my hero. South Africa needs more people like you. Thank you. We salute you. With the post receiving over 11,000 shares at the time, more and more South Africans are hungry for feel-good news like this. It's the perfect pick-me-up for the week ahead and gives us hope for a better South Africa. I hope the Department of Home Affairs recognises Mrs Nosipho Mkhupheka for her incredible level of service and helping to change the perception that so many of us have.